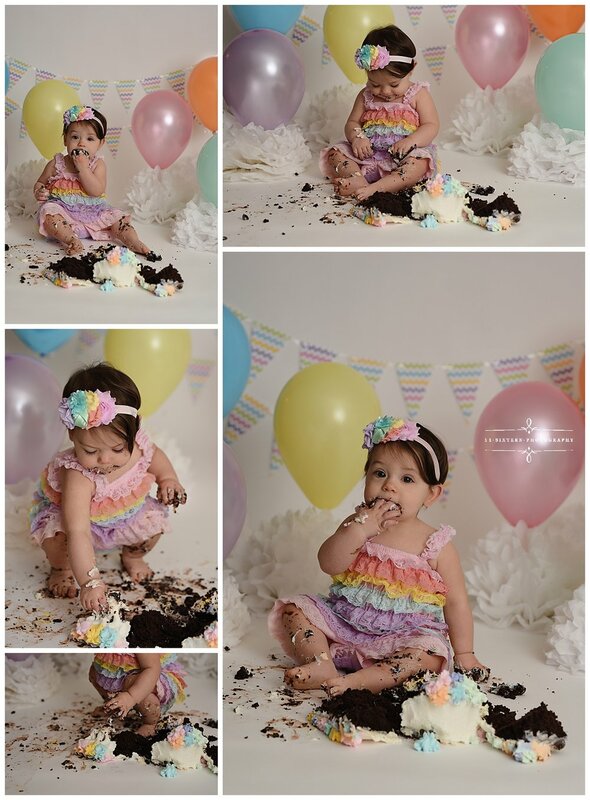 Kayli turned 1 Rainbow-style with this adorable Rainbow-themed Cake Smash Session. 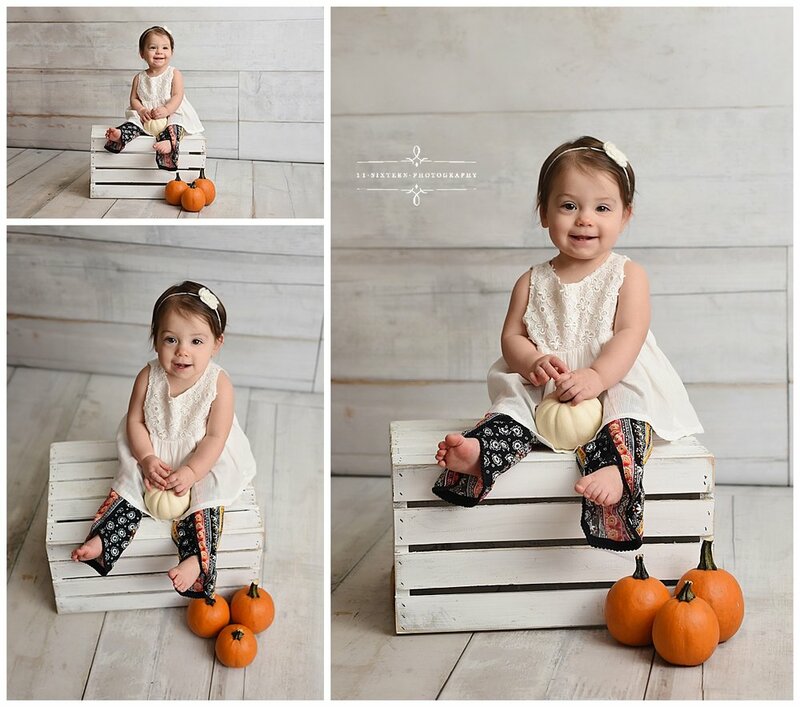 Kelly makes sure every cake smash has a cohesive look, pulling colors from the outfit to create a beautiful backdrop. The banner and cake are custom-made by Kelly to match the romper and headband. That’s right, Kelly makes all her own cakes for her cake smash sessions!